Thank you for visiting ChiropractorPro.com where you will find information about the chiropractic services that I provide and practical solutions for getting your spine in better shape. I am a chiropractor on staff at the West Bloomfield, Michigan office of Michigan Spine and Pain. We are a multidisciplinary spine and pain specialty center serving patients throughout the greater metropolitan Detroit region and Michigan. Our modern facility is conveniently located at Maple and Farmington Rds. in West Bloomfield. We are centrally located within the neighboring communities of Novi, Farmington Hills, Bloomfield Hills, Farmington, Commerce Township, Walled Lake and Orchard Lake, in Oakland County, Michigan. As a chiropractor, I offer gentle, effective and safe hands-on care. I also teach patients how to make lifestyle changes to improve their health, and to help prevent future injuries and recurrence of pain. 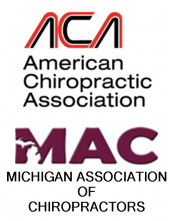 Please explore ChiropractorPro.com and MichiganSpineandPain.com. Learn more about our specialized, evidenced informed and patient centered approach to care. Discover new and effective options for feeling your best throughout the day, at home, at work and at play! Consult us. We're here to help.